Image retrieved from ARTstor; courtesy of National Gallery of Art, Washington. This week’s #tbt image, shared by Jutta Seibert, Director of Academic Integration, was painted by John Singleton Copley in 1778. The photograph of the painting was retrieved from Falvey’s image database, ARTstor. 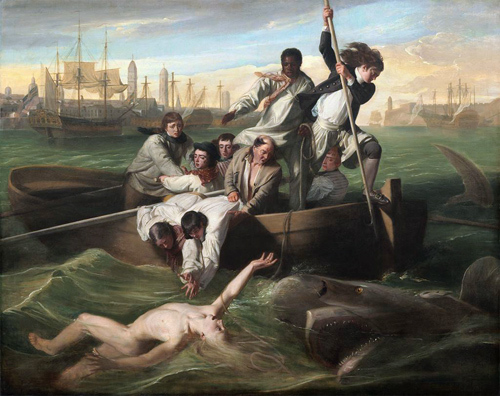 Explore the history surrounding “Watson and the Shark” and examine over 1.6 million images in the ARTstor Digital Library.